I have been fostering and collecting Koi fish for decades now. I really LOVE these fish. They are truly special creatures. 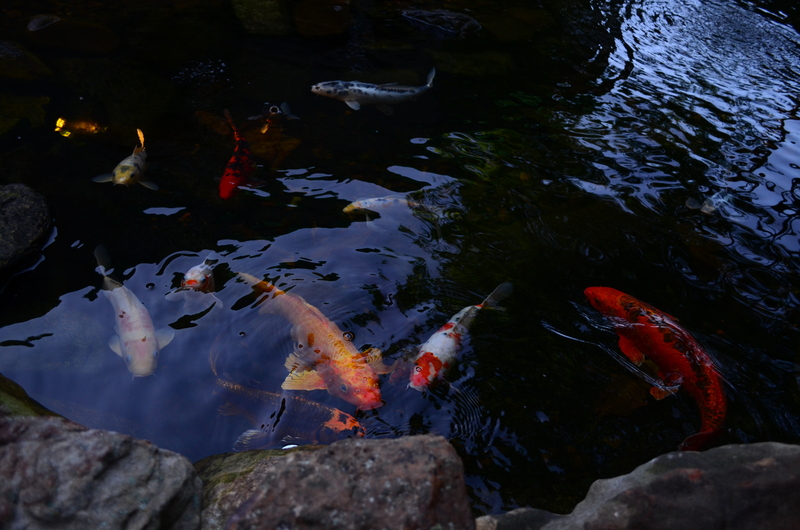 I sell Koi at my business – Carters Nursery, Pond & Patio & we take time to make sure they are healthy, happy & well fed. I also try to learn more about Koi every chance I get! Seminars, shows, wet labs, you name it – I want to go 🙂 So with education in mind I want to share some basic information on Koi with you. I want to make Wednesdays ‘Koi Day’ on my blog here! Today I want to introduce you to the 3 most popular varieties of Koi – The ‘Big Three’ if you will – aka: The Gosanke’. Kohaku is a variety of ornamental koi. The Kohaku has a white body, with red markings, or ‘hi’, across the body. The Kohaku is one of the gosanke; the ‘Big Three’, consisting of Kohaku, Sanke, and Showa. Kohaku is the oldest and probably the most well known of Koi varieties, A Kohaku has a solid white base with red patterns overlaid on the white. 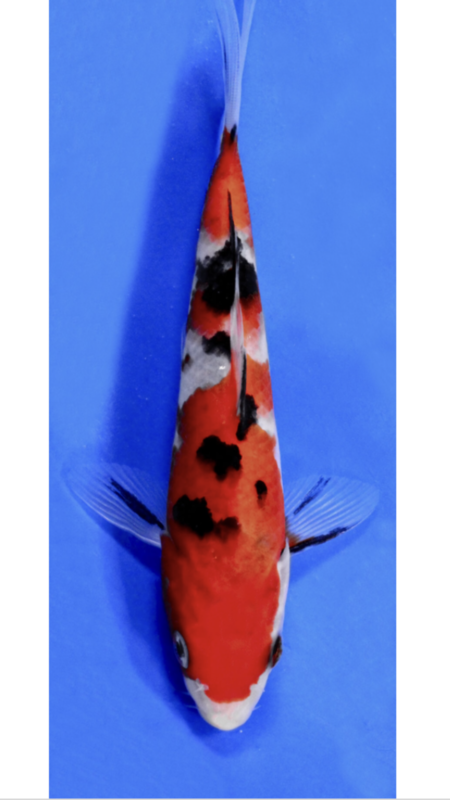 Elite, high quality Kohaku will display a bright white base, blemish free with deep red tones overlaid. The patterns should be evenly distributed along the body. There are many variations of the Kohaku, to include – Doitsu Kohaku, Gin Rin Kohaku, Maruten Kohaku & Tancho Kohaku. In the early 1900’s, a new variety of Koi was developed by the addition of sumi (black) markings to the basic Kohaku patterns of red and white. This new variety was named Taisho Sanke and is usually referred to as simply Sanke. Sanke for short, have a solid white (Shiro) base that is overlaid with both red (Hi) & black (sumi) patterns. They say the best Sanke start with a solid Kohaku pattern – the black (Sumi) compliments the pattern. There are of course several variations of Sanke – Doitsu Sanke, Maruten Sanke, Tancho Sanke & Gin Rin Sanke. Showa is a variety of ornamental koi. The Showa is also known as the Showa Sanshoku. The Showa has a black body, with red and white markings across the body. The Showa is one of the gosanke; the ‘Big Three’, consisting of Kohaku, Sanke, and Showa. Showa for short, have a black (Karasu) base color, with white (Shiro), red (Hi) &/or orange (Orenji) overlaid patterns. Showa & Sanke are easily confused… On a Showa the black (Karasu) will be consistant all the way around the body instead of just appearing on the top half only. A Showa will also have black patterns on the head and a Sanke won’t. The colors should be consistent and balanced around the body with clean edges between colors. There are many variations of Showa – Tancho Showa, Maruten Showa, Gin Rin Showa, Doitsu Showa & Kin Showa. Carters Nursery, Pond & Patio | Jackson, TN – Spring is Coming VIDEO! It’s time! Give me a call to get on the schedule. With all this beautiful weather – It’s filling up FAST! Question: Can my Koi outgrow my Pond? 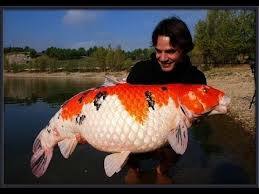 Knowing how big a Koi can get is a good start to answering this question! A Koi can get up to 36″ in length and weigh over 20 lbs.! Even with poor water quality & steady feeding they can grow to 18″-22″ within a few years. The secret to success is Balance & Scale! – IF you have a small, shallow Water Garden, it might not be suited for Koi… Some colorful fancy Comets or Shubunkins may be the better choice. I recommend a minimum 2′ depth and a minimum 1,000 gallons of volume to keep Koi. If you want to have a Koi or two in your smaller Water Garden you can, just know that you may have to trade them or give them to a new home that can handle their size in future years… Many times before they “Outgrow” the pond, the water quality suffers and the toxic environment causes the Koi to become stressed, sick and even die. We want our Koi to grow and flourish! And we want to ensure that they WON’T outgrow their environment! That’s the secret – Proper design, proper stocking rates, great water quality & keep it balanced! There are some other blogs I have made on here about the subject of Water Gardens & Koi Ponds that may help you. 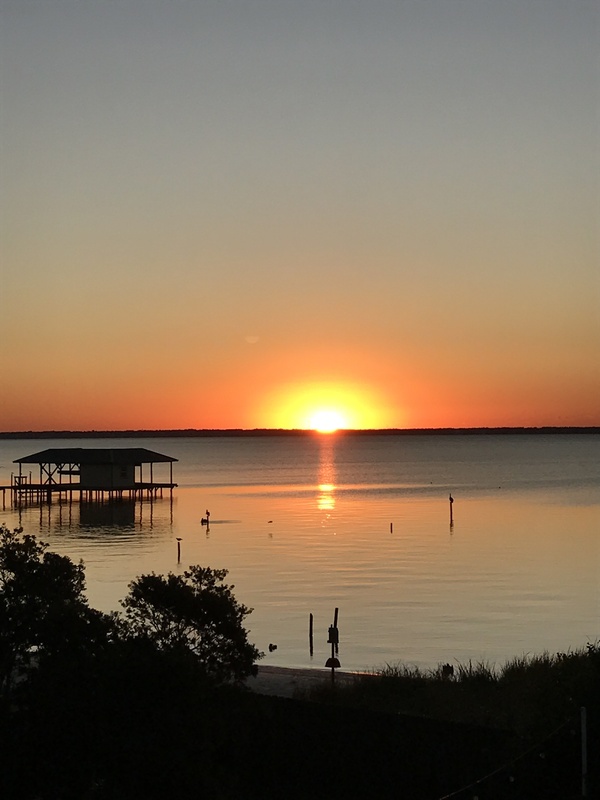 Blogs on Design principals, filtration specs, quality foods, aquatic plant lists, etc. If you have any other questions feel free to give me a call, I will try to help. It was really nice to see the sun this morning after the stormy night we had! Prayers for all who were struck by the tornadoes 🌪! It was nice to see the sun this morning after all the bad storms last night! I got out assessing damage right after first light. We had a LOT of plants knocked over and our arbor blew down, but we got off lucky. 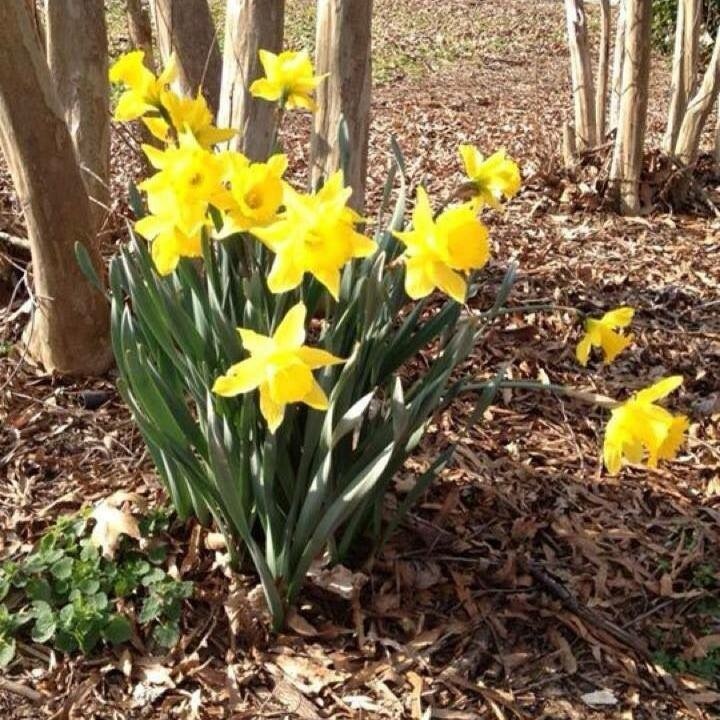 These daffodils were planted by my grandma and always bring happy thoughts to me. Spring is almost here! Just yesterday I gave a report on how to reduce mosquitoes around your home & property. I almost immediately received a call asking if their Koi Ponds could be attracting mosquitoes… That’s a relevant question! Zika & West Nile virus are in the news and we all want to be proactive and keep the mosquitoes at bay. So I wanted to answer that question right away! GREAT news! If your Koi Pond or Water Garden was properly designed – You have nothing to worry about! 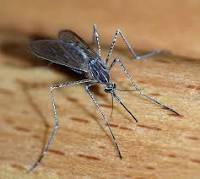 #1 – Mosquitoes do lay their eggs in water, but they seek stagnant water. Fresh, clean, moving water like the water in your Koi Pond isn’t appealing to mosquitoes as a breeding area! Pond fish like Koi, Comets, Shubunkin, etc. LOVE to eat mosquito larvae. A skimmer filter breaks the surface tension of your pond water & creates incredible water movement into the skimmer. If there was any mosquito larvae in your Pond that escaped the fish and frogs, etc. it would get drawn into the skimmer and drowned/destroyed. If your Pond is properly designed & maintained, you don’t have excess algae or overgrown vegetation – 2 more things that they need to grow and thrive. I hope this information has put your mind at ease. Please feel free to call me with any questions you may have about this & I will do my best to help. Get out there and enjoy your Pond as we head into Spring! TGIF! Another great Friday show today! BIG thanks to Dan Reaves & Sea Bass! Today was a LIVE remote from Smallwoods RV and Spring was definitely in the air! EVERYONE is ready to get outside again! It’s time for Camping, fishing, hiking, gardening, etc.! #1 Get rid of standing water! Turn over empty cans, buckets, wheelbarrows, etc. Clean up! Old bags, tarps or bottles are a GREAT habitat for mosquitoes! 1 bottle cap can be the breading ground for thousands of mosquitoes this season! Putting up a couple of Purple Martin houses in late Winter (Now) is a great way to invite mosquito eating birds into your landscape. Even better mosquito eaters are bats! A few well placed bat houses will do wonders for your mosquito problems! ALSO – Many people use Mosquito Dunks in standing water areas. Mosquito Dunks are a larvacide that kills mosquitoes! Otherwise known as BT (Bacillus thuringensis). They are great for containers, rain gardens, rain barrels, etc. There is no unpleasant smell and they aren’t harmful to pets! There you have it! A few things you can do right NOW to cut down on mosquitoes safely! Try these things and you will see a HUGE decrease in mosquitoes and a HUGE increase in your Garden enjoyment! Thats a very important question to ask before you design and construct your Water Garden or Koi Pond! There is a LOT of differing information out there on what the proper depth should be in a Koi Pond or a Water Garden too… I will try to give you a few good, simple rules to help with your design. For small Water Gardens that will have some small pond fish (goldfish, comets, shubunkins, etc. ), but not Koi – 18” deep will be adequate. Of course proper filtration & aeration are a given on any Ornamental Water Feature – but 18” depth is fine. Now, if you want to keep Koi, it’s a bit different. Koi get much larger than goldfish. Up to 3’ in length is not uncommon after Several years. That’s why as a rule, Koi Ponds are a minimum of 2’ deep. That’s 2’ Minimum! You can go deeper if you want – I put many 3’+ deep Ponds in. BUT, there are tens of thousands of two-foot deep ponds around this country that are full of beautiful, healthy koi. It’s kind of a ‘Magic Number’ if you will. We rarely freeze here in West Tn. & when we do it’s not for an extended period of time. In fact, over the last 29 years of running my business- Carters Nursery, Pond & Patio, I dont think I have lost a fish to cold or freezing! Pretty good record..
• 18” minimum depth on a Water Garden for goldfish or turtles & frogs. • 24” minimum depth on a Water Garden or Pond with Koi.